Join Gigi Hill and be a part of a community of women who are smart and stylish! 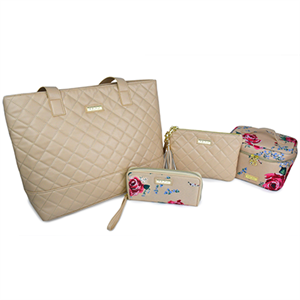 The Gigi Hill Social Kit #1 features our sophisticated quilted tan and vintage-inspired floral patterns on a variety of luxurious, stylish handbags and accessories. Gigi Hill Social Kit #1 includes: The Anne Quilted Tan, Ashley Quilted Tan, Rita Antique Floral and Lucille Antique Floral. See individual items for details.